The visitor industry is Alaska’s second-largest industry, employing more than 60,000 people. Travel businesses large and small are intimately involved in their communities supporting local charities with financial contributions, auction items, door prizes, volunteers and more. 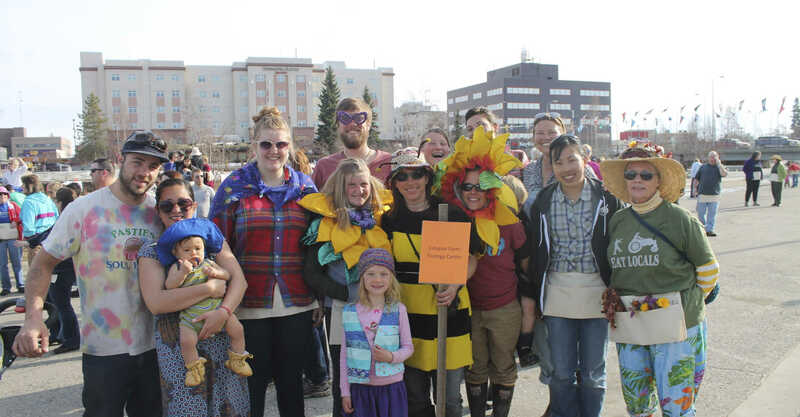 The Fairbanks Visitor Industry Walk for Charity celebrates this commitment to giving through a festive community event that raises money for local non-profit charities. Often referred to as “The 4k Graze,” the Visitor Industry Walk for Charity is the only walk in Fairbanks where you may gain weight. Usually held on a Friday evening in early May, food vendors dot the 4k course that begins at the Immaculate Conception Church parking lot and then winds through downtown Fairbanks to the Morris Thompson Cultural and Visitors Center. The event is planned, promoted and executed by Explore Fairbanks and the Fairbanks Chapter of the Alaska Travel Industry Association with generous cash and in-kind donations from industry and other local partners. One hundred percent of a walker or team’s donation goes to the registered 501(c)(3) charity of their choice.